The perfect occasion to discover the unusual beauties of the volcanic island, from the Timanfaya national park to the vineyards in La Geria. 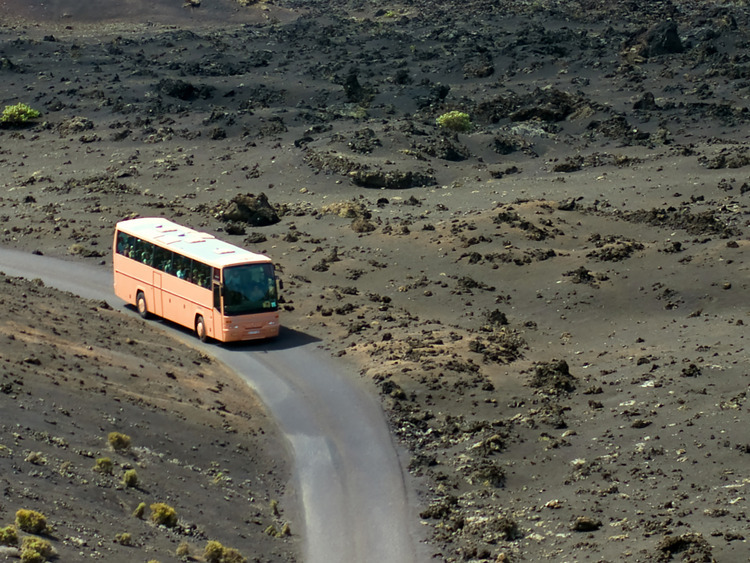 We will head towards the Timanfaya National Park, which covers around 50 kilometres and is the perfect testimony of the force of nature, as it was generated by one of the most devastating eruptions in history. Once there, we will enjoy a fun camel ride for a short stroll on the dunes. We will then venture towards the heart of the reserve to reach El Islote de Hilario, where the El Diablo restaurant is located. Here, the temperature reaches 140°C at only 10 m below ground, so we will be able to witness some interesting geothermal experiments. After that, we will take the Volcano Road, a 14 km trail where we will be able to admire the stretch of solidified lava, rocks and volcanic craters with colours ranging from grey, to black, red and brown. Our last stop will be another unique place - La Geria, a region offering a spectacular view of vineyards planted in volcanic soil and protected from the wind with horseshoe-shaped stone walls. Last but not least, we cannot fail to stop for a tasting session of the prestigious local wines before heading back to Arrecife.